It is hereby being written to request that I want to register my school (name and address) with the Ministry of Education. (Describe in your own words). 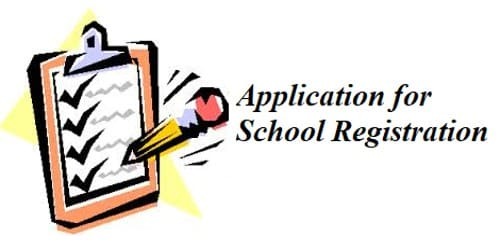 As required by laws, our school fulfills all the requirements needed for registration. (Explain government rules and regulations). Hence, I am requesting for inspection team which can verify these regulations and grants us the registration letter. The mentioned school is already registered for primary education. It has been upgraded with an extension to the campus and installation of new facilities. (Explain the actual cause and situation). The school has a good record for academic and extra-curricular achievements. Hence, it is requested that a registered letter be issued so that classes can begin. (Cordially describe your requirements). Thank you in advance for your time and consideration. I am (Your name) and I am the owner and chief trustee of newly opened school in (Area and City name). The name of the school is (Institute name). We are having classes from Kindergarten to O-levels. (Describe in your own words). We completely meet the standards set by the Higher Education Board, (City/Country Name). (Explain government rules and regulations). We are the only private educational institute in the area to have our own campus and playground. Our classrooms are fully air-conditioned and multimedia projectors are also installed. (Explain all about facilities and situation). We have a highly qualified and cooperative teaching staff. Teacher to student ratio is also very less so each student gets enough attention to learning. So it is my humble request to please do the government registration of my school. (Cordially describe your requirements).